Mega Man X's Vile has a long history of rocking a whiskey glass from an old manga storyline. It even made it into his D-Arts figure rendition, and now it's part of the '66' line. 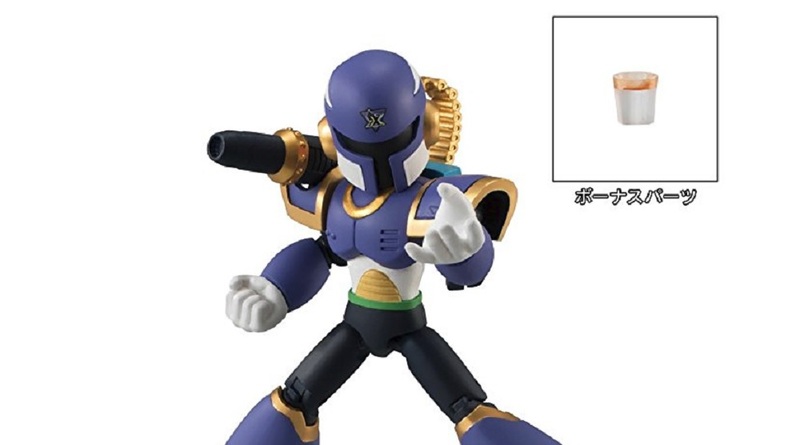 '66' is the name of Bandai Namco's new figure initiative, which will be sold in the form of blind boxes, as well as a Ride Armor 2-pack. The former will run you 5,940 yen ($54.07) for 10 figures, and the latter is 6,480 yen ($58.99). Again the 10-pack is for a haul, and you should be able to find individual blind boxes over in Japan this September when '66' launches. Or, you can just pre-order them on Amazon Japan right now. I think I'm all tapped out on Mega Man toys, especially of the blind box variety -- I try to partake in this scheme as little as I can.